A solid base from which a charity works is one of the most important foundations for any organisation, yet managing the risks that come with renting a property can make the difference between a charity thriving or failing. Ethical Property Foundation, the leading property advisor for UK charities, looked at property issues affecting UK charities and found that 45% of organisations believe that their building is the greatest risk facing their charity. 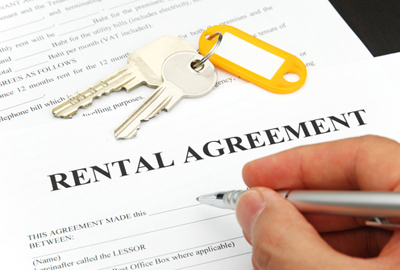 Here are some easy tips to help minimise the risks associated with renting a property. Charities should not assume that discretionary rates will be granted on an ongoing basis. Whilst many charities enjoy discretionary rates, these rates are reviewed annually and availability could always decrease, so it is a good idea to prepare for the worst. When preparing for rent reviews, make sure you are in-the-know. When are your rent reviews? When does your lease term end? These will be the times when you may need to negotiate on your rent and, potentially, factor some contingency into your budget. If you are paying a very low rent and if it is owned by the local authority, ask yourself: would my charity survive if the rent was raised towards an open market rent? Try to maintain a good, open relationship with your landlord as solid communication will mean unpleasant surprises can be avoided. An increasing number of charities are looking to generate extra income by sub-letting spare meeting rooms, storage space or parking spaces to other charities or even businesses. Although this diversifies income streams for your charity, it is a change in your usual activities and could have legal and insurance implications. It's imperative to check with your landlord before sub-letting and seek appropriate advice from your law firm and insurance broker/insurer to ensure your charity stays within the law and is properly covered. Check your lease to see whether your organisation is responsible for arranging buildings insurance. This will cover against fire, flood and other disasters that can damage the building. It may be that the landlord is responsible for arranging this and passes all or a proportion of the cost onto your charity, but be sure to check your contract. You should also consider arranging contents insurance - for items like computer equipment - as well as tenant’s improvements you have made to the building, such as fixtures and fittings. As an absolute minimum, your charity is likely to need public liability insurance, which covers against allegations of injury caused to a third party (such as someone slipping on a wet floor while visiting) and damage caused to third party property (such as a marked carpet or wall at a rented premises). Business rates are taxes charged on non-domestic property, such as offices or shops. If a property is unoccupied, business rates are waived for up to three months. However, if a property is unoccupied for more than three months, full business rates become payable. According to the Charity Commission, charities have been approached by landlords and retailers of hard to let properties and asked to enter into tenancy agreements. These agreements relieve landlords of the obligation to pay full business rates, as commercial property occupied by charities are eligible for an 80% discount on business rates. Whilst charities sometimes receive goodwill donations from their landlords which reflect a percentage of the business rates they otherwise would have paid, entering into such a tenancy agreement can pose risks. In some instances, charities fail to follow a reasonable decision-making process before entering into these agreements and sometimes do not actually physically occupy the premises; in effect, the property is still empty. The Charity Commission advises organisations to be aware of the risks; the charity may find themselves accused of being involved in business rates avoidance which could result in them losing their discretionary discount, as well as being required to pay one-fifth of the business rates. This could not only lead to a financial cost to the charity, but the charity’s trustees could be accused of mismanagement. Charities should take professional or legal advice before entering into an agreement which could be construed as a way of a landlord avoiding business rates.